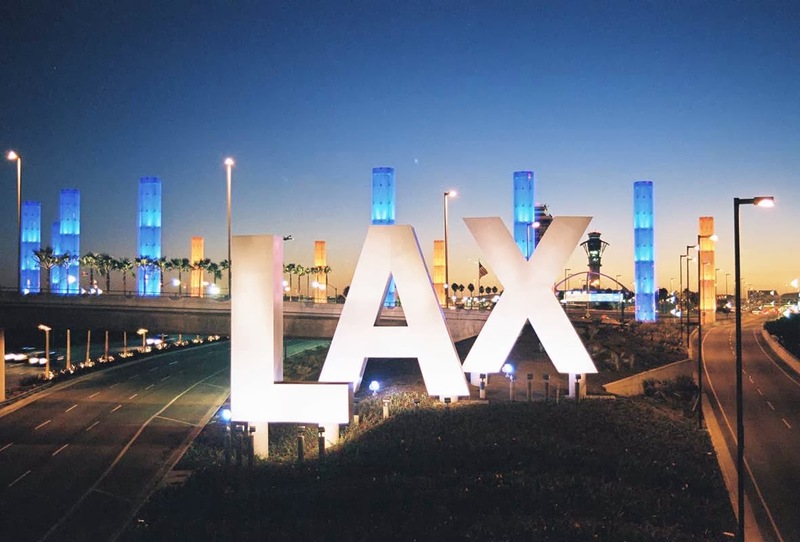 So, I'm going to L.A. This Friday is going to be my last day at work and I don't start the new job until the 20th, which leaves me with NINE whole days to myself. I hadn't really thought about what I was going to do with that free time. Maybe catch up with friends or get a massage. But for weeks now, I've been thinking - what if I went to California and visited my cousin? We've always been really close. We have the type of relationship where we can go years without seeing each other and just pick things right up as if no time has passed. And well, it's been six years now. With her being on maternity leave (my nephew is adorable btw! ), I figured why not text her and see what she thinks. We talked yesterday and long story short, she told me it was a great idea, that she was thinking we needed to see each other too and to book the tickets ASAP. Which I did - 10 minutes after our conversation. Now I'm headed to LA on Saturday. Talk about spontaneous right? But I do want to travel more and I've never been on a plane by myself before. Which is both exciting and scary. Did I mention I hate planes? I have a week to prepare (my suitcase and my nerves) and to let my cousin know what I want to do while I'm out there. Truthfully, I hadn't thought much further than wanting to see my cousin and nephew. The Getty Center - a beautiful museum on top of a hill. I've been there once before but I want to go again. Hollywood Walk of Fame - I want to find Audrey Hepburn's star. Huntington Library - apparently this is an underrated tourist spot. It's supposed to host some amazing art and first edition books. Could be fun! Have any of you been to LA before? I haven't been there since freshmen year of college so any and all recommendations are welcome! Where should I go? Which restaurants should I check out? What books should I bring? Have fun in LA! I've heard good things about Venice Beach (though it might get a little too touristy) and Rodeo Drive (as well as The Grove), which should satisfy your shopping need. Also, the Griffith Observatory looks really pretty and cool. I love in LA, and I'd have to say your list is great! Check out some of the good eats too :) If you're into seafood, Boiling Crab is a must try for the experience. In N Out is DEFINITELY a must! #2 with grilled onions. If you want to splurge a bit, I'd say go for the animal style fries as well ;) Another spot eveyone loves is Urth Cafe. There's also, Lemonade... Umami Burger, etc. If you want to go kayaking, there's a cheap spot in Long Beach, which is also near one of my fave restaurants, Schooner or Later (featured on food networks, Diners, Drive Ins, & Dives). Check out Yelp.com while you're down here. I swear, a bunch of people in LA do Yelp, so you'll always find something to do. There's also Griffith Observatory. Free entrance & you can take awesome pictures of the famous HOLLYWOOD sign. It's also only a few miles away from the Americana & Glendale Galleria for some good shopping! If going to the Walk of Fame, for some good sweets, Milk is pretty popular for their blue velvet cake & ice cream sandwiches (macron ice cream sandwiches, yum!). It got really popular when it was features on MTV's, The Hills. It's a drive, but it's not TOO far from the area. If you want to go shopping at The Grove & Beverly Center, you must check out LACMA and the famous (& free) LACMA Urban Lights. I swear, everyone who lives in SoCal has pictures from there, hahaa! Hope you got some ideas from this :) I'm a fan of your blog & I'm excited you'll be visiting SoCal! Have a fun & safe trip!